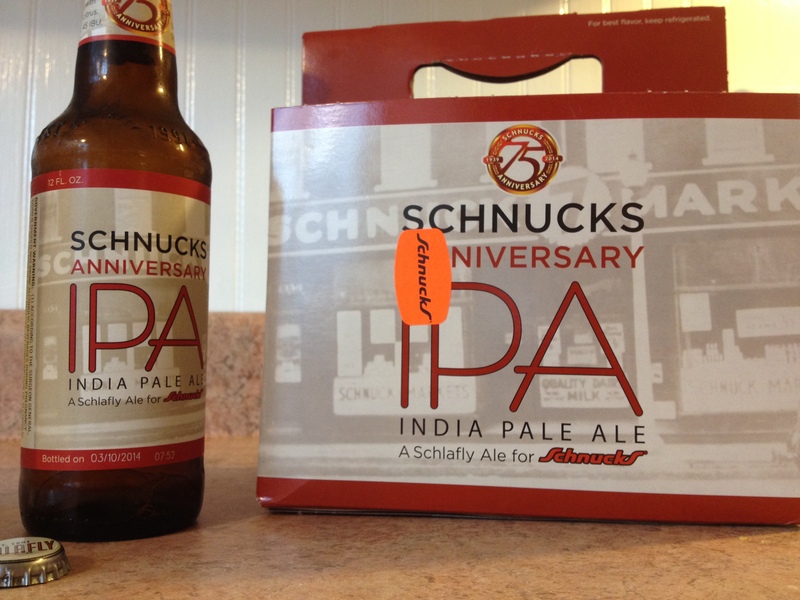 For a limited time, STL-area IPA fans can commemorate the 75th anniversary of one of the local grocery chain stores and also try another variation in the Schlafly IPA family. 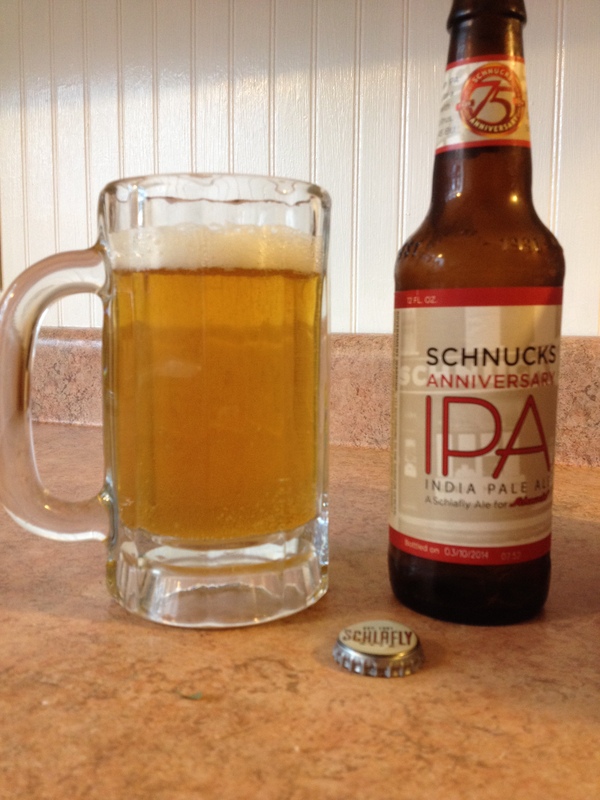 Having spent enough money at Schnucks in my lifetime to send at least one Schnuck kid to college for a year, what’s another 7 or 8 bucks for a sixer of Schnucks Anniversary IPA? I’m admittedly loyal to STL-based establishments to a fault, so this is a double homer beer. If only they could put a Cardinals logo on it and sell it exclusively at Ted Drewes. Poured in a room temperature glass mug, it gives a highly effervescent cloudy yellow presentation with a thick though minimal head. The hops aroma didn’t lie, with a 45 IBU. It’s a smooth, creamy hop flavor with grapefruit notes. In addition to the citrus, there’s some sweetness and a hint of pine (which maybe I’m only tasting because I read it on the beer label… confirmation bias). Smooth finish that leaves a lingering bitterness on the back sides of your tongue. Shared a few of these with my neighbor, who remarked that “these’ll go fast.” Indeed. So if you are in the area and have the urge to try something hoppy that has limited availability, then you should Drink This Beer.